Players will also need a baseball glove. The Club provides other equipment such as batting helmets, catchers’ kit and bats. Players are welcome to bring their own equipment but it is worth checking with the coach about the right equipment to buy. 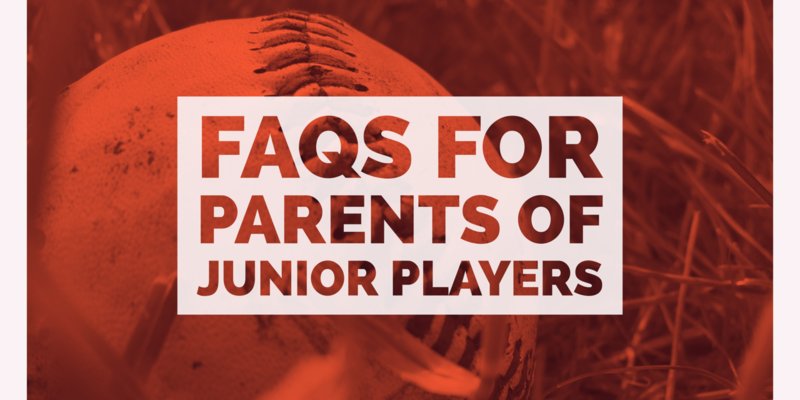 A: For most players, team selections were made in September, so you should know by now the team details for your child. If you are unsure, please contact our Junior VP (Richard) and he will be able to assist you. Q: I am concerned my child is going to be playing in a age-group too high/too low? What can I do about that? A: When you sign on, the online registration system will allocate your child to the group appropriate to their age bracket. We have options available to make sure your child is then playing in a team that is appropriate for them. Our aim is to give all players the best playing experience we can. Please contact our Junior VP (Richard) if you would like to discuss age groups. Q: At what times are the games played? A: Games are played on Saturdays at either 8.00am or 10.15am, 12:30pm or 3pm depending on your child’s age group and the draw. Games usually go for approximately 1.5 hours – 2 hours depending on the age group. 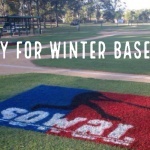 In some age groups (eg Tee-ball and Little League Minors) there may be an occasional mid-week or twilight game scheduled. A link to the GBL competition draw for teams from Little League – u20s is found on the home page of our website. Tee-ball and Little League Minors are part of the Brisbane Metro competition. The link to that draw is also available on our website home page. Q: Are all the games played locally? A: Tee-ball and Little League Minor teams play against other clubs in the Brisbane Metro competition. 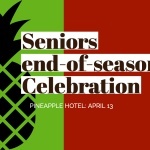 This competition is made up of Carina, All-Stars (Hendra), Windsor and Pine Hills teams. Older teams will play against teams from across the GBL competition and may include Ipswich and Redcliffe teams. Field locations can be found on our website. Q: When will the teams train? A: The training times are listed on the club website (Junior Info section) on the page relevant to the age group your chid plays in. Players should attend training every week, arriving 15 minutes before the scheduled start in order to make the most of training time. Q: What happens when it’s been raining – do we still have to play? A: If it has been raining, your EO will send a text/email to tell you if the game has been cancelled or if the local club has closed the ground. Sometimes, clubs may not know if their grounds are safe to play on until the morning of the game and so if you do not hear from your EO, you must turn up ready to play otherwise your team may forfeit the game. Washed out games can occasionally be replayed at a later date and time as organised between the two teams involved. Q: How involved do I have to be as a parent? 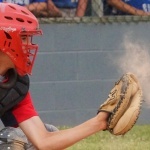 A: You can be as involved as you choose to be but you must appreciate that our club is run by volunteers who give up their time to make sure your child enjoys their baseball. Like most sports, baseball requires a number of parents to participate so that a team can run effectively. This means that each team is asked to do canteen duty whenever the team plays at home game at the main diamond, and you may be asked to act as a base coach during a game or even be asked to coach, manage or score for your team. The club provides support if you are willing to take on one of these vital roles. Experience has shown that parental participation can enhance the enjoyment of the sport for your children. Q: What is a team EO and what do they do? A: A team EO is baseball talk for what other kids’ sports would refer to as a team manager. The EO role is not a huge task but it is a really vital one for making the season run smoothly for the kids and their team. We have some information you can read to know more about being an EO. If your team doesn’t yet have an EO and you think you might be able to do the role – we’d love to hear from you! Contact our Junior VP (Richard) and he can get you started. Q: Are games for junior players scored and records kept? A: The answer here varies, depending on the age of the team and the competition the team is playing in. No scores are kept for Tee-ball games – the focus here is on participation and learning the skills of the game. Little League Minors teams are encouraged to keep score – purely so parents of the game learn the skills needed for scoring. No statistics need to be recorded for this age-group. We will be in touch with the EO for each Little League Minor team to discuss on a team-by-team basis. If your Little League Minor team is the “home” team – you will need to complete a game sheet and email the completed sheet to Brisbane Metro. For teams from Little League Majors (Bandits and Rams) through to u20s, a scorer must be available for each game. There are two options available for scoring depending on your personal preference – scorebooks or GameChanger. Over the first few weeks of each season, the club will be happy to help teams learn to use the scorebooks or GameChanger. Please keep an eye out on the website calendar for dates of training. If your team is the “home team” – you will need to complete an “Official GBL Game Card” and email the completed card to the GBL by the Monday following the game. Q: Do we have to play during the Christmas School Holidays? A: No. The competition will wind up the week before Christmas and the second half of the season does not begin again until the end of January. Q: How does the Club communicate with members? A: We have a number of ways that we aim to communicate with members. Information is posted on here on our website and updates are also shared on facebook, instagram and twitter. We also regularly publish a club newsletter which is emailed to all members. If you have a specific question or need extra information please feel free to contact a relevant committee member. 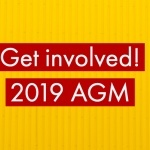 A list of committee members is published on our website. Q: Can I assist financially in terms of sponsorship or advertising? A: Sure can! In order to be able to provide the best equipment and services for your child, we welcome any financial assistance that your or your company can give. Our newsletter and social media pages are a widely read and we actively encourage club members to support sponsors. Contact a committee member for information on sponsorship packages. You will be pleasantly surprised how affordable it is. Q: Does the club embrace the Child Protection legislation? A: Absolutely! Any person involved with your child must hold a blue card before they can coach or manage a team. Our club also assists coaches and manages to foster a safe and positive environment for every child to participate via information and coaching tips provided at coaches’ and managers’ meetings. Q: Where and when does the Club’s committee meet? A: Committee meetings are held at least once a month the clubhouse located next to the Main Diamond, Clem Jones Centre, Zahel Street Carina, and anyone is welcome to attend. 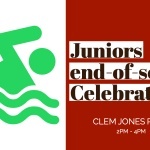 Contact our Club Secretary (Danielle) for the date of the next meeting. PreviousStill time to sign on!